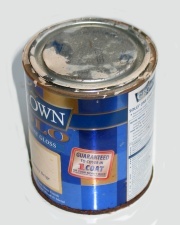 How can I reuse or recycle paint colour charts? | How can I recycle this? 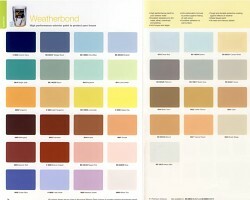 How can I reuse or recycle paint colour charts? What can I do with old paint charts, the colour reference ones? I know I can just throw them in with cardboard recycling but I wondered if anyone had any creative ideas for things to do with them instead. I’ve heard that home style experts recommend keeping a swatch of colours and material samples for your key rooms in your bag when you’re out shopping – so that you can check if things match/work together easily – but I guess that only uses up the tiny square or two of paint that you used, and not the rest. Other suggestions though? I don’t scrapbook so don’t know but could they be useful for that? Could you check for color-blindness? I’ve read where a few very clever people decopaged paint color chips to the top of an old table and to cover a scratched up metal filing cabinet.